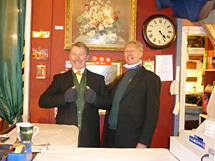 The Clare Antiques and Interiors warehouse has four floors of exhibiting space, housing unique furnishings, objects and collectables for the home and garden - provided by over 100 individual dealers from all over the UK. There is always an amazing variety of antiques for sale at the warehouse and expert advice is always available from our team of experienced and friendly staff. 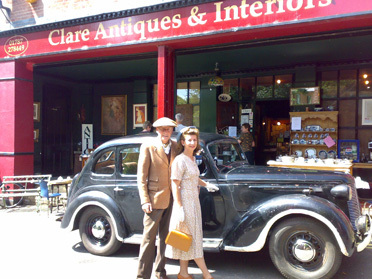 Clare Antiques and Interiors is located near the Suffolk/Essex border and is an ideal destination for a day out. The warehouse lies in the Conservation Area of Clare, opposite Clare Castle Country Park, where car parking is available at a nominal charge towards the park's upkeep. The warehouse is also yards from the heart of this historical, picturesque market town that offers a host of cafes, pubs, restaurants, shops and places of interest. In earlier times, the warehouse was a grain storage mill, then known as Byford's Mill which was built in the early part of the last century. Pay us a visit - we're Clare's best kept secret!